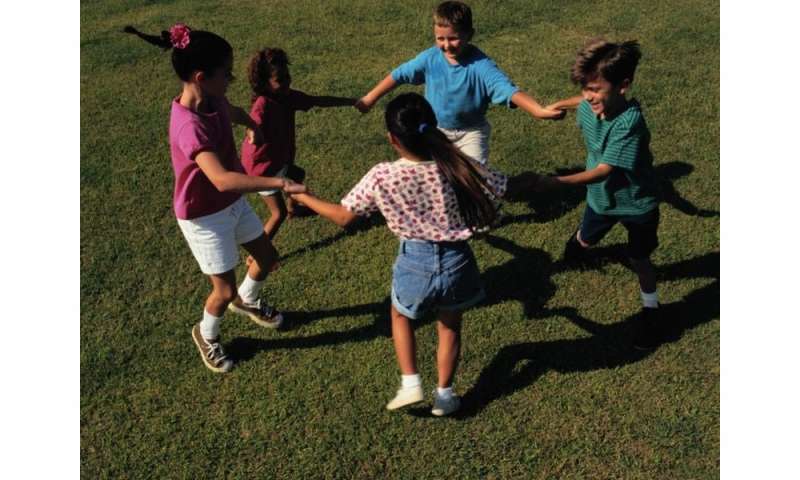 (HealthDay)—Pediatricians should encourage parents to ensure their children play, according to a clinical report published in the September issue of Pediatrics. Michael Yogman, M.D., from Harvard University and Mount Auburn Hospital in Cambridge, Mass., and colleagues address the role of pediatricians in encouraging developmentally appropriate play with parents and peers, which is a unique opportunity to promote the social-emotional, cognitive, language, and self-regulation skills that build executive function and a prosocial brain. The authors note that cultural shifts, including less parent engagement, fewer safe places to play, and more digital distractions, have limited the opportunities for children to play. The American Academy of Pediatrics recommends that pediatricians encourage parents to observe and respond to nonverbal behavior of infants during their first few months of life; advocate for protection of children's unstructured playtime; advocate with preschool educators to focus on playful rather than didactic learning by letting children take the lead and follow their curiosity; emphasize the importance of playful learning in preschool curricula; and encourage playful learning for parents and infants by writing a "prescription for play" at every well-child visit in the first two years of life. "At a time when early childhood programs are pressured to add more didactic components and less playful learning, pediatricians can play an important role in emphasizing the role of a balanced curriculum that includes the importance of playful learning for the promotion of healthy child development," the authors write.